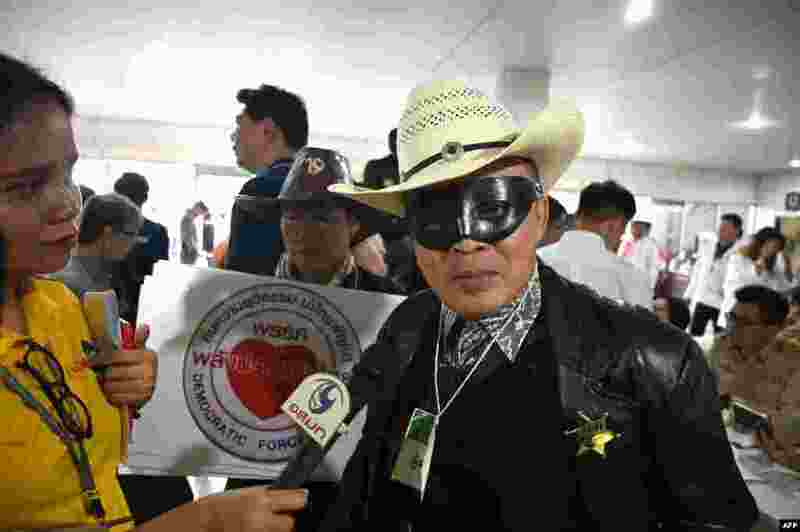 1 Noppajun Woratitwuttikul, a representative of Palang Prachatipatai Party, arrives for registration with the election commission wearing a Lone Ranger costume in Bangkok. 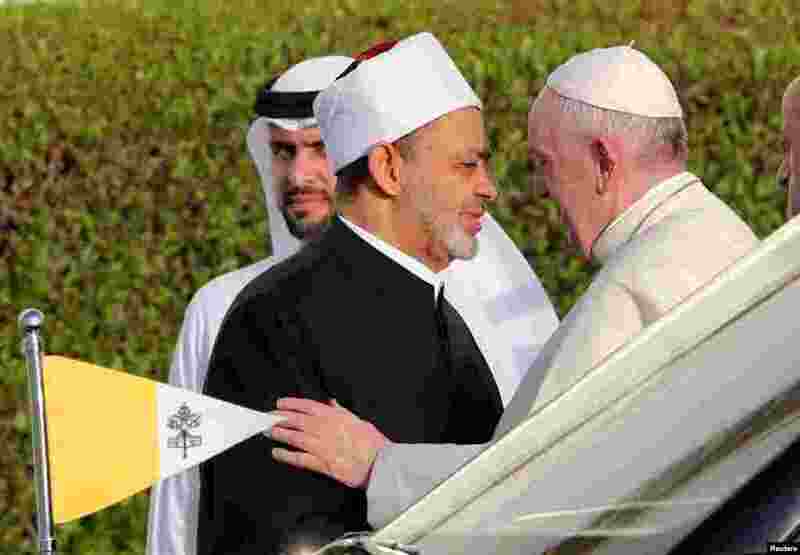 2 Pope Francis is welcomed by Grand Imam of al-Azhar Sheikh Ahmed al-Tayeb at the sheikh Zayed grand Mosque in Abu Dhabi, United Arab Emirates. 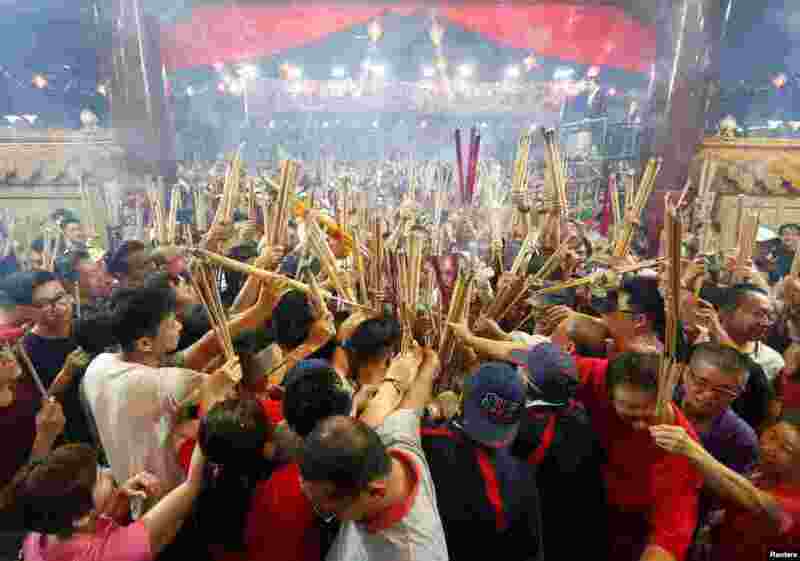 3 People wait to plant the first joss stick of the Lunar New Year of the Pig at the stroke of midnight at the Kwan Im Thong Hood Cho temple in Singapore. 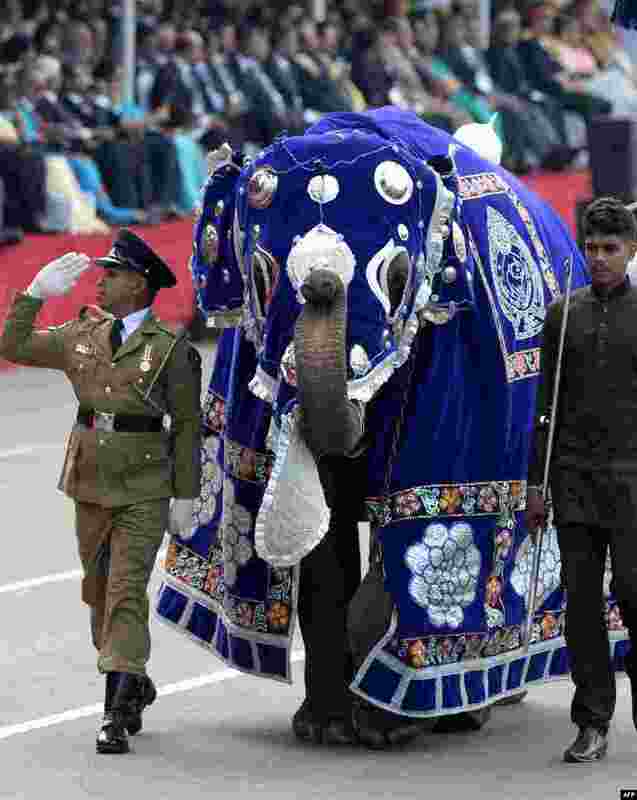 4 Sri Lankan military personnel march with a baby elephant during the island's 71st Independence Day celebrations in Colombo.